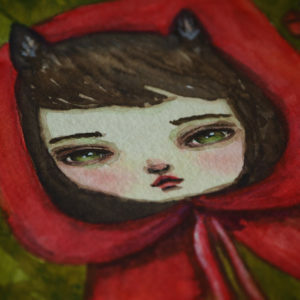 Little Red Riding Hood is one of my obsessions. I love the story, and I look for any chance that comes across to me to paint her using different techniques and art materials. On this lesson I will teach you how to paint a beautiful girl with limited resources. All I used was my watercolor travel kit. It consists of a travel tin with 8 watercolors, a brush, a sponge and a water bottle. That's it! No previous skill is required! 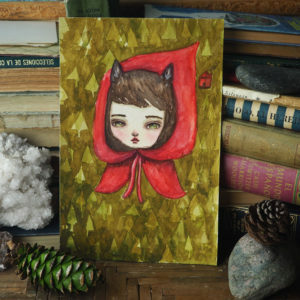 We'll paint little riding hood from a sketch drawing on paper. 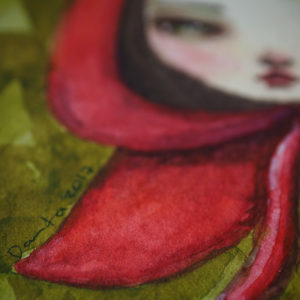 From there, I will show you how I start applying watercolor layers to create a forest, a beautiful face and then add details to Little Red riding Hood's face that will make her eyes sparkle. By the end of the lesson, you will learn how to work with a limited palette and resources to create beautiful paintings. 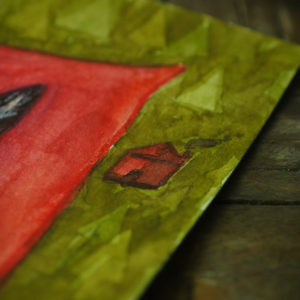 It's a fun way to let your creativity flow when you have little time, or when you are away from your painting space. I love doing it when I am on vacations and I want to relax a little doing what we love the most. Paint!